//	Samsung Galaxy A5 (2016): The Next Best to Samsung’s Flagship Series? Samsung Galaxy A5 (2016): The Next Best to Samsung’s Flagship Series? Samsung Galaxy A5 (2016) is the second iteration of the Galaxy A5 that was released for the first time last year. 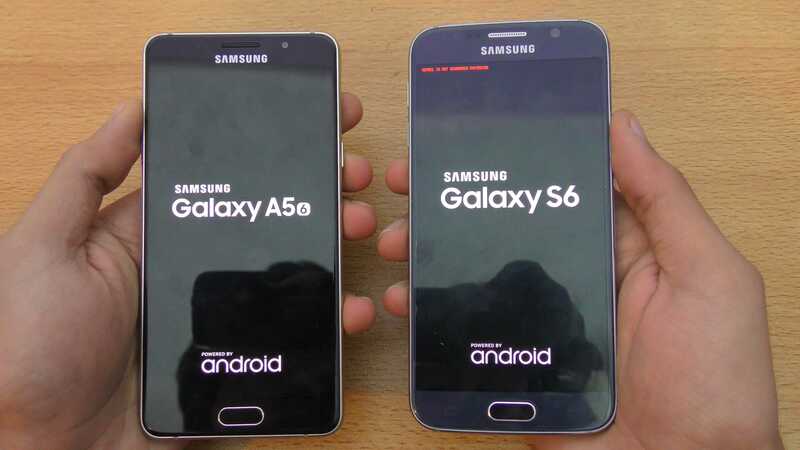 The introduction of the Galaxy A series by Samsung was taken as a way of getting out of the Mini club, which was last featured on the Galaxy S5. As it seems, this new series is what is next to the Galaxy S series flagships in terms of specifications. If you want a Samsung smartphone that packs some of the best specifications but at a very reasonable price, there is nothing better right now than the Samsung Galaxy A line of devices. Samsung Galaxy A5 (2016) comes with a premium look and feel that consists of a metal and glass build. In addition, you will come across a curved Gorilla Glass 4 protection on both the rear and front of the phone, which only but adds to the already classy look the phone spots. As if Samsung wants to do away with the smaller screens the Galaxy A5 (2016) version has a 5.2-inch screen that boasts Super AMOLED technology and a full HD resolution. The screen is almost bezel-less, giving the phone an edge-to-edge look. This year’s Galaxy A5 is a dual-SIM phone that also comes with a memory card slot. As mentioned at the beginning, the Galaxy A line of devices is right next to the flagship line in terms of specs. This year’s Samsung Galaxy A5 has an 8-core Exynos 7580 chipset, which is something that wasn’t expected given that the same chipset has been used in the lower tier Samsung Galaxy J7. However, the A5’s chipset has a faster clock speed and uses Category 6 LTE, which is faster than the J7’s. Going deeper under the hood will reveal a 2GB RAM and 16GB of onboard storage that can be expanded to using a microSD card of up to 128GB. You won’t be left out of the mobile payments niche thanks to the fact that the phone has an NFC chip as well as support for 4G connectivity on both SIM cards. Samsung has disappointed many by equipping the older Android Lollipop in the handset; however, we expect this device to be receiving the Android Marshmallow update in the course of the year. As usual, the latest version of the TouchWiz is present on the Galaxy A5 (2016) smartphone. The Galaxy A5 packs a 13MP snapper on the rear that has a decent aperture of f/1.9, including OIS. You will enjoy quality photos in low light conditions with this phone, but not as top-notch as what the latest Samsung Galaxy S7 offers. On the front is a 5MP camera with a similar aperture to ensure high quality selfies even when indoors. With battery life already a known issue among not just Samsung smartphones but across the entire market, Samsung Galaxy A5 (2016) comes with a decent 2900mAh battery pack that will see you through most part of your day in case of maximum use. Moderate users will get more than a day of battery life. The phone is equipped with Adaptive Quick Charging technology to ensure faster charging. Samsung Galaxy A5 (2016) is priced at about $430, which might scare off some buyers, especially considering the power available in cheaper devices from manufacturers such as Xiaomi and Huawei.